This week marks Global Money Week, with schools and other institutions across the globe doing their part for financial education, including in the UK. This is particularly important as recent research has found that a significant percentage of English and Northern Irish adults are lacking financial skills. The scientific study, which looked at financial knowledge and skills across the world, found that a third of adults in England could not work out how much change they should receive (source: A. Bhutoria, J. Jerrim, A. Vignoles, 2018. The financial skills of adults across the world: New estimates from PIAAC). 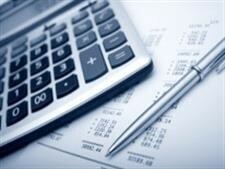 In other measures of financial knowledge, such as calculating the cost of goods according to a certain unit, English and Northern Irish adults also ended up scoring below average. This is worrying news, and could explain why a separate study from financial education charity MyBnk sees 54% of parents call for schools to spend more time teaching kids about personal finance. Fifty-six percent would even choose to cut time from the national curriculum to teach children about budgeting and how to avoid debt. 1. Save yourself from yourself. It&apos;s easy to get tempted by advertisements or your friends to spend more than you intend. To make sure you can still pay your bills, Plum suggests setting aside whatever you need to get through the week/month, in a separate easy access account for instance, so you can&apos;t get tempted into spending too much. 2. Avoid your overdraft. It&apos;s easy to get tempted into using your current account&apos;s overdraft, with banks often giving students special deals that reduce the associated fees. However, it&apos;s not a healthy habit to get into. If you absolutely can&apos;t resist the urge to dip into the red, consider switching to a special student account that offers free overdrafts, or even a basic account that doesn&apos;t have an overdraft facility. 3. Track your spending. If you keep an eye on how much you&apos;re spending and what on, even just by logging into your online bank account once a week, you should be able to see what you&apos;re spending too much money on. This includes things such as subscriptions that you&apos;re not getting anything out of, which you may be better off cancelling. 4. Use credit sparingly. Aside from your overdraft, you may be tempted to get a credit card to pay for things. Always remember that you&apos;ll need to keep up with minimum repayments and pay back the whole debt eventually, so if you really must have one, make sure the card comes with low or 0% interest and no management fees. Our Best Buys may be a good place to start. Offshore accounts are available with both variable and fixed interest rates. Variable rate accounts often come with introductory bonuses and offer relatively easy access to your money, while those paying fixed rates generally require you to lock away your savings for between one and five years – just the same as standard savings accounts. This is due to the introduction of the new Personal Savings Allowance. Basic-rate taxpayers have no tax to pay on the first £1,000 of interest, and higher-rate taxpayers will have no tax to pay on the first £500. But it’s important to know that interest earned above these thresholds will still be taxable, so you can&apos;t use offshore accounts to avoid paying tax. Savers with money in a Financial Conduct Authority (FCA) authorized bank or building society in the UK are protected by the Financial Services Compensation Scheme (FSCS), which covers the first £85,000 (as of January 2017) held with each banking institution. Banks licensed by the Guernsey Financial Services Commission, for example, are covered by the Guernsey Banking Deposit Compensation Scheme, which protects the first £50,000 per person, per bank. The Isle of Man&apos;s Depositors&apos; Compensation Scheme, meanwhile, also protects up to £50,000 per individual saver. Offshore bank accounts may sound great in theory, but make sure you’re aware of all the potential problems and pitfalls attached. The mere mention of the words “offshore bank account” is enough to conjure up thoughts of tax evasion, unreported income and a wide range of other dodgy dealings. The bad reputation of offshore accounts was further reinforced by the Panama Papers scandal of early 2016, which involved many high-profile world figures and led to the offshore accounts of 800 wealthy Australians coming under investigation by the Australian Taxation Office (ATO). But despite their regular links with unlawful deeds, there’s actually nothing innately illegal about offshore bank accounts. 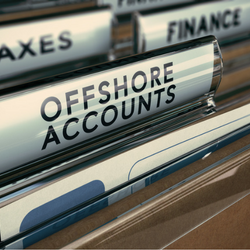 So let’s take a look at 10 things you may or may not know about offshore accounts and how they work. An offshore bank account is one that is opened and held in another country. Offshore accounts are usually held in countries with minimal tax rates or other financial benefits, but there are plenty of other reasons why you might need to open an offshore account. For example, maybe you need fast access to funds to manage an overseas investment property, or perhaps to pay for your child’s education at an overseas financial institution. Banks in countries all around the world offer accounts to attract overseas customers; some major Australian banks have dedicated units that deal with foreign customers. Our guide to offshore accounts explains how you can compare your options and choose the right account for you. Yes, you read that right – there’s nothing illegal about owning an offshore bank account. But if you don’t declare the income and earnings from that account in your annual tax return, you will find yourself on the wrong side of the law. Australian residents are taxed on their worldwide income, which includes the money they earn from overseas assets, rental properties, and of course, bank accounts. Any income earned from an offshore account must be declared in your Australian tax return, and you can claim a foreign income tax offset in Australia if you’ve already paid tax on your earnings in another country. · The ability to earn more interest. · Access to foreign investments. · Access to foreign banking products and services. · Greater privacy, for example, a business looking to protect its trade secrets. · For large, well-known businesses, offshore accounts can protect against the risk of overcharging by suppliers. The process for opening an offshore bank account will vary depending on the financial institution. 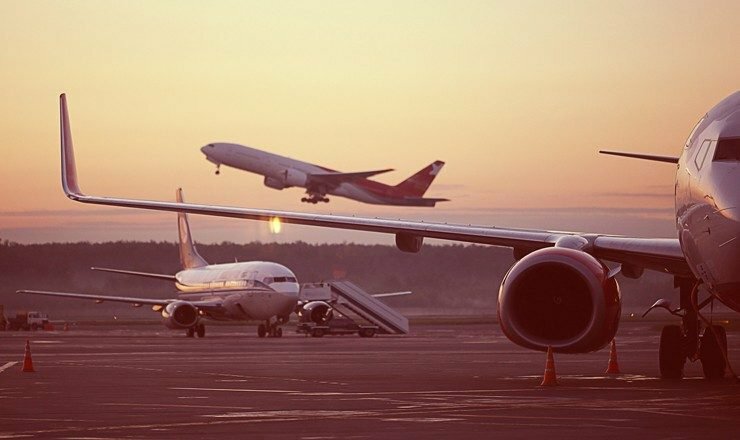 In most cases you will need to provide your passport, a bank statement and a signed declaration about the source of the funds being used to open your account. Deposits can be made by international money transfer. For some, the temptation to simply not declare their offshore accounts and therefore avoid paying tax is too great. In other circumstances, such as for some of the high-profile figures caught up in the Panama Papers Scandal, offshore accounts are used to finance illegal activity or manage the unlawful income obtained from such activities, which is hardly something the average taxpayer wants to include on their next tax return. Whatever the case may be, failing to declare your offshore account to the ATO is a big no-no and harsh penalties apply. Penalties start at around 75 per cent of the unpaid tax on those foreign earnings, plus interest, and there is always the potential for further investigation and prosecution by the Australian Federal Police or the Department of Public Prosecutions. What do you get when you combine low tax rates, a stable political and economic climate, and a local regime that’s reluctant to disclose any information to foreign tax authorities? You get a tax haven, a country that attracts money from wealthy people and large corporations all around the world that are looking to reduce their tax bill any way they can. The Seychelles, the Cayman Islands, the British Virgin Islands, Switzerland and, until recently, Panama are all attractive destinations for money from all corners of the globe. By setting up a bank account in a country that does not have an agreement to exchange financial information with Australia, an Australian taxpayer could theoretically avoid being taxed on the money in that account. In more complex cases, a dodgy taxpayer could set up a foreign shell company to conceal the true owner of money or other assets and make it even more difficult for the ATO to catch up with them. In recent years, the ATO has dedicated plenty of time and resources to hunting down tax evaders all over the world, as people like Paul Hogan can testify. It’s also committed an increasing amount of resources to targeting wealthy Australians with undeclared income in offshore accounts, establishing agreements with governments and major financial institutions around the world. From March through to December 2014, the ATO ran Project DO IT (Declare Offshore Income Today), which allowed Australians holding illegal money offshore to declare those funds and receive immunity from prosecution. These tax dodgers also had the opportunity to avoid many of the significant financial penalties normally associated with bringing this income into the Australian tax system, and as a result it’s estimated that $600 million in income and $4 billion of assets were disclosed. The Panama Papers data leak contained information about the financial dealings of more than 214,000 financial entities connected to people in over 200 jurisdictions worldwide, including around 800 Australians. As a result, the ATO launched an investigation into the activities of those 800 people accused of hiding their wealth. Around the world, many high-profile figures were implicated in the scandal including Vladimir Putin, David Cameron, the Prime Ministers of Iceland and Pakistan, and even kung fu film star Jackie Chan. If you have an undeclared offshore bank account, the sooner you disclose it to the ATO the better. Coming forward before the ATO comes after you can significantly reduce the penalties imposed and also the risk of prosecution. However, you should always seek legal and tax advice from an expert, for example your accountant or lawyer, before making a voluntary disclosure. Although this article is only a very general guide to offshore bank accounts, you will have figured out by now that opening and maintaining an offshore account can be a complicated undertaking. There are many laws and regulations you need to abide by, not to mention myriad tax implications to consider. With this in mind, it’s recommended that you get some professional financial advice before opening an offshore bank account. This will help you work out whether an offshore account is right for you, and what you need to do to ensure that everything is legal and above board.